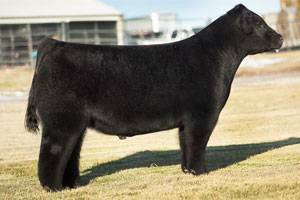 The true look and build of a calving ease sire. He is very smooth in his make up, clean jointed, and sleek through his head and neck. We feel he should work very well on TH carrier females. We have been asked to find calving ease sires to complete our line-up and we feel this one will breed with style and ease.